This is mostly a bug fix release, which also includes some little improvements as well. If you already own MyInfo 6.x, the upgrade to version 6.11 is free – you will receive update instructions on your email. MyInfo 6.10 is now available! This is an enhancement release, which includes quite a few improvements. Tags now are separated by comma, instead of space character, so you can have multi-word tags like “John Smith”. MyInfo will also no longer store duplicate tags for the same document, they will be removed automatically now. 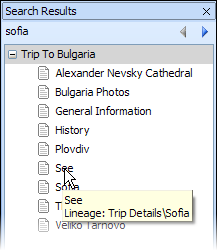 Some tag-related features like Rename and Delete tag, as well as the Tags pane are improved too and are now much faster. You can now install/uninstall plugins and dictionaries directly from the Plugins dialog inside MyInfo (no need to restart). You can also enable/disable dictionaries without uninstalling them. We have added shortcuts for inserting documents and tasks before the current one or as a first child of the current one. Just hold the Shift key in addition to the regular shortcut. 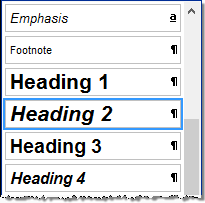 For example, to insert a document before the current one, press Shift+Enter, instead of just Enter. You can find all new shortcuts in the help file. If you already own MyInfo 6.x, the upgrade to version 6.10 is free – you will receive update instructions on your email. This is an enhancement release, which adds saved search queries and fixes a couple of problems, found in the previous version. We strongly recommend upgrading to this version. If you already own MyInfo 6.x, the upgrade to version 6.08 is free – you will receive update instructions on your email. This is an enhancement release, which improves some important features such as undo, working with topics on the network, and HTML paste. It also fixes a couple of problems found in the previous version. We strongly recommend upgrading to this version. If you already own MyInfo 6.x, the upgrade to version 6.07 is free – you will receive update instructions on your email. This is an enhancement release, which improves MyInfo HTML import and paste commands and fixes some problems found in MyInfo 6.05. We strongly recommend upgrading to this version. If you already own MyInfo 6.x, the upgrade to version 6.06 is free – you will receive update instructions on your email.